[useful_banner_manager banners=14 count=1] Today, internet has grown into the world’s largest marketplace making for a platform where consumers and businesses communicate, negotiate deals and take actions respectively. The way marketing has transformed in last five years, it has become really very crucial for businesses to go online. But then the idea is how should marketers leverage internet for some ultimate results. What should be the anatomy of a successful internet marketing plan? Here are four essential factors to be kept in mind while creating a target-oriented internet marketing plan. • Website Digitally, website is the face of your company, which makes it the most important aspect of Internet marketing. It acts as an interface between you and the consumers allowing you to add widgets, content, user-friendly information to be shared with them. So the first thing that you need to do is to evaluate your website whether it is going well with your business and audience or not. • Social Media Social media is an outstanding tool if you want to brand your company and interact with consumers whether you are a B2C or B2B company. Although its sounds easy to deal on social media outlets for they are social networking sites but being a business you really have to be very meticulous at your conducts as thing easily go viral here. So you need a careful planning even when you are dealing on these outlets. Besides, there should be editorial control of the content. • Advertising Adverting is a fast and easy way of generating awareness about you business among the masses. However, even it requires a vigilant planning otherwise you will end up wasting your money on campaigns which are either giving poor results or rather giving no results. The content that you have on your distinguished web pages, whether it is your website’s homepage, landing page or your blog, plays a very important role in a triumphant marketing. It includes everything starting from the textual to graphic, audio and video. The way people are seeking good content before making a purchase it is expected that a time will come when the business’s success will be directly related to the content you develop and distribute. So you must evaluate your content before releasing it. 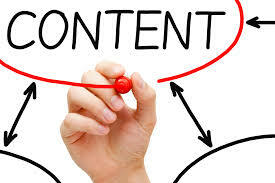 Besides, you should measure the impact of each content and optimize your content accordingly. Before you go ahead with your various marketing campaigns, do a market research. 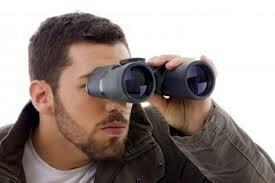 Find out what your competitors are doing, it is no harm in stealing a great marketing strategy if you encounter any. So keep monitoring your competitors as this will also help you not repeat the failures that your competitors have gone through. To do so however, you can take help from Alexa, Google Alerts and Social Mention. ROI i.e. 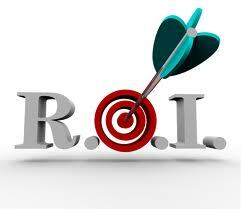 return on investment happens to be the most crucial factor while creating an effective internet marketing plan. 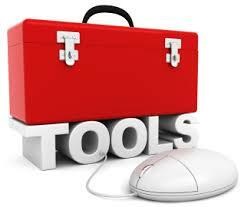 So you must choose your tracking tools and metrics astutely. As far as measuring your website’s performance is concerned, you can make use of Google Analytics to do so. Other free tools to measure the performance of your respective campaigns are Facebook Integrated Reporting Tools, Twitter search, One Riot and Google Places. There are various paid tools as well such as Scout Labs, Visitor Track and Radian6, which however depend on metrics you want to track. Sometimes, it takes some time to measure the success of an internet marketing campaigns and so you must allow time for your efforts to take effect. It however does not mean you should not monitor your efforts. So set your marketing goals, set a time frame, evaluate metrics, optimize your campaign accordingly and iterate.